Witchcraft was particularly prominent during the period of the Reformation across Europe, and thousands died because of a belief in it. 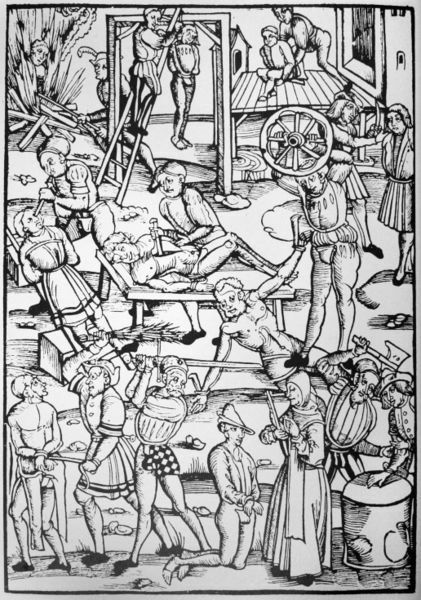 Witch-hunts were irrevocably tied in to the Reformation. Both Catholic and Protestant countries had cases, but they increased in number during the pivotal period of the Reformation. This was the second half of the sixteenth century. 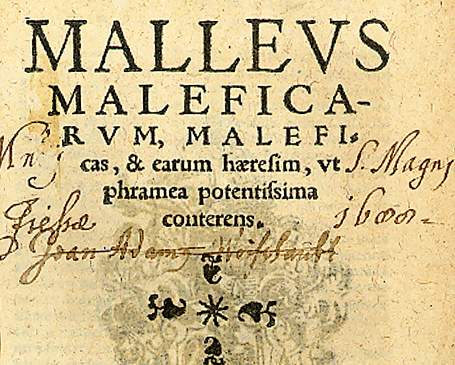 James Sharpe claimed that witchcraft operated ‘within the context of the reformation and counter-reformation’. [i] Witchcraft did not become a major factor in people’s lives until the Reformation, and it died out as the religious situation across Europe settled down and stabilised. In England, for example, the last person executed for witchcraft was Jane Wenham in 1712. [ii] This was a time when England was settled and unified with Scotland. It was probably the most peaceful time to be English. What Evidence is there for a Change in Ideas about Women between the Late Medieval and Early Modern Periods? Ideas about women in the Medieval period were very different to ideas about women in the Early Modern period with this change largely being due to the religious upheavals that were taking place all over Europe, known as the Reformation. This essay will look at the era of 1100 – 1800 and how ideas about women changed and evolved in this period. The key themes that will be explored are women’s education and writing, looking at writers like Mary Wollstonecraft (1759 – 1797) and Christine de Pizan (1363 – 1430) to try and understand why ideas about them changed and how much. Other themes are marriage, looking at the influence of the Church in them, and an early developing form of feminism which many of these writers could be considered as being a part of. This essay will argue that ideas about women did change, but it can be debated as to whether or not things actually improved or declined, as marriage laws got harsher rather than better. There is one main problem with this broad debate – the changes definitely were not universal and affected different parts of Europe in different ways with a divide between north and south. Punishments for witchcraft in 16th-century Germany. Woodcut from Tengler’s Laienspiegel, Mainz, 1508. How do Historians Account for the Comparative Differences in Witch Hunting and the Witchcraze Throughout Europe? The witchcraze was a period in the sixteenth and seventeenth centuries where so-called ‘witches’ were hunted and punished for practising witchcraft. This belief in witchcraft was most noticeable in Scotland and continental Europe as this is where the majority of accusations took place. This essay will look at several different areas of witchcraft and the witchcraze, including where beliefs did and did not take hold, the proportion of men and women who were accused, the influence of the Protestant Reformation and the prosecution of witches across Europe. Historians tend to agree that the witchcraze took off in Protestant areas more than Catholic areas, and also that it was largely female-identified. Historians also agree that there were different punishments for witchcraft in different countries, with some being stricter than others. However, there are some problems in analysing the differences in the witchcraze in different countries because for some countries it is difficult to access the trial records and historians do not even agree on the number of people who were executed as witches in the sixteenth and seventeenth centuries at the height of the witchcraze.